I’ve been back in the real world for a week now. In my previous life as a stressed out business owner, going on holiday usually wasn’t worth the hassle. Even for a two week break I had to spend weeks preparing for my time away. As a small business owner I had to be all things to all men so preparing for a holiday was a nightmare. I had to make sure that staff wages were paid on time, ensure that all outstanding invoices were paid, organise and schedule work for my field based staff, make sure that the office staff knew what they were doing and deal with dozens of outstanding queries and problems. By the time I finally left for my holiday I was usually exhausted. And then when I returned from holiday there would be a new list of problems to deal with. These days I don’t earn very much but, oh boy, is my life easy. I have no staff to organise, nothing to plan for while I’m away, and absolutely no stress or heartache when I return. I lead a simple life and I love it. So I’ve enjoyed my first week back after my holiday. 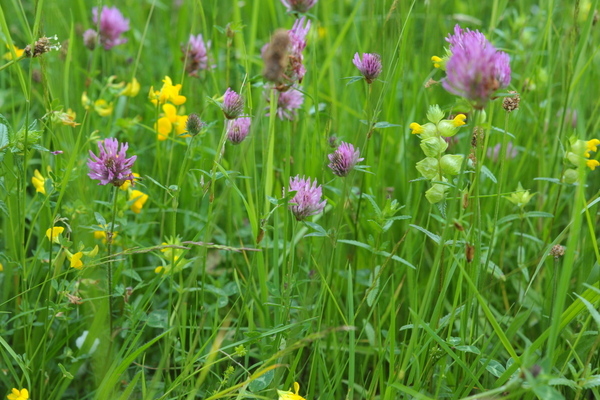 Yesterday I spent a couple of hours mowing a footpath around the edge of two of our wildflower meadows. The grass and flowers were about three feet high so my mower was like a boat sailing on a sea of yellow and purple. And then after my “hard” day’s work I came back to a boat caressed by waving reeds and vivid yellow iris. What a way to earn a living! I’ve been thinking about our two weeks away over the last few days as I’ve updated my accounts. One of the aspects of a holiday on your own boat is how little it costs you compared with, say, a traditional two week holiday abroad. A two week holiday in the sun costs you plenty. You need to pay for insurance, the cost of the accommodation, the cost of the flight, airport parking or travel to and from the airport, travel insurance, something nice to wear when you go out, when you go to the beach, when you travel too and from your destination and, of course, lots and lots of spending money while you’re away. In the carefree days before I had children, a two week holiday in Spain for the two of us cost at least £2,500. Compare that to the cost of two weeks away we’ve just enjoyed on our own boat. There’s no airport parking, fuel costs to and from the airport, travel insurance or cost of accommodation. And there’s very little need for spending money. For me it’s enough of a treat to be on a tranquil mooring in beautiful English countryside. I don’t feel the need to dress up and spend a fortune on a meal which, in most cases, I could have cooked better on the boat. I don’t feel the need to dress up and I don’t feel comfortable on the boat wearing “smart” clothes. I would much rather just stay on the James or on the canal or river bank beside the boat, enjoying home cooked food and beer and/or wine at supermarket prices. Our two weeks away cost us very little more than we would have spent during two weeks at any other time of the year. We used diesel for propulsion which we wouldn’t have used normally. We used a total of 67 litres over 42 hours cruising or 1.6 litres for each hour we travelled. The diesel cost £81.74. Added to that we spent £123.75 on eating out. We didn’t go to any fancy restaurants for dinner in the evening. We had a few fairly low cost pub lunches and a coffee at a waterside cafe every other day. They’re the only additional expenses for a wonderful two week holiday in beautiful rural England. Less than a tenth of the amount we used to spend on pretty standard foreign holidays. It’s not just the cost that’s an issue. A holiday abroad, for me, was always stressful. Maybe you feel the same way. Your location is usually static for the duration of your holiday so you have to ensure that you choose the right accommodation for your stay. It’s always a bit hit and miss because you have to rely on other people’s subjective reviews to find out what it’s like. Finding the right accommodation is only half the battle. You’ve got to get there first. The journey usually involves a stressful drive to the airport worrying about whether you’ll get there in time, whether you’ve remembered your passports, flight tickets, insurance documents, foreign currency and travellers cheques and your airport parking booking form. Then you have to endure the tedious wait at the terminal, an even longer and more tedious period on the plane, yet another wait at your destination airport while you collect your baggage, find your transport to the resort and then sit in it for another hour or so. It’s exhausting. I know where I would rather be these days. The weather is often frustrating in England, but when it’s good, it’s just unbeatable. Our recent two weeks away was typical of a two week period in June. We had four or five days of very warm weather. The rest of the time we experienced some cloud – a lot of cloud – some heavy showers, a period of very blustery weather and some decidedly chilly days. The weather really didn’t matter. On the hot days we cruised for shorter periods and spent longer moored enjoying stunning views of rolling countryside as we relaxed on the towpath. If the weather was too cool to sit out, we cruised instead. We didn’t have to worry weather we had the right clothes with us because we had all of our clothes with us. We took our floating home on holiday. As you can probably tell, I love just about every aspect of narrowboat ownership. Super cheap holidays really is the icing on the cake. Mary Anne, fed up paying rent to unappreciative landlords, took out a personal loan and bought herself a floating home. Now she runs her own business from the boat. Just look at the view from her new office! It’s the Holy Grail for many narrowboat owners; the ability to wander along the canals and rivers, without a care in the world, stopping as and when you choose enjoying a life filled with variety and adventure. It’s a goal achieved six years ago by retired narrowboat owner Peter Early. Just over a month ago he started writing weekly blog posts for the site. You can read them here. A word of warning though – if you are disenchanted with your current lifestyle, Peter’s posts are going to turn you green with envy! In my humble opinion, every narrowboat should have a solid fuel stove as the backbone of their narrowboat heating system. Modern stoves are easy and safe to operate but, of course, there’s always a risk of fire. A smoke detector is essential. Here’s a short article on the subject of smoke detectors and links to a comprehensive online supply.